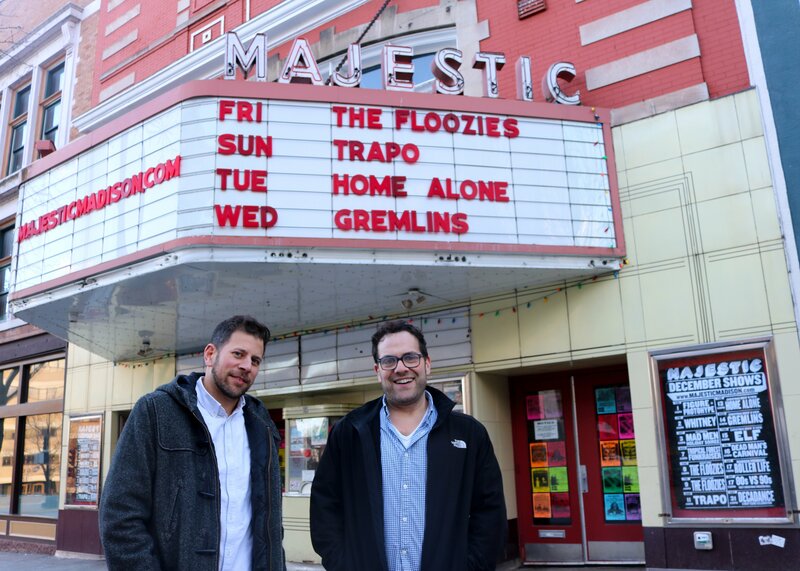 Matt Gerding, alongside business partner Scott Leslie, founded the Majestic almost 10 years ago, and since then it has become a venue adored by artists and audiences alike. 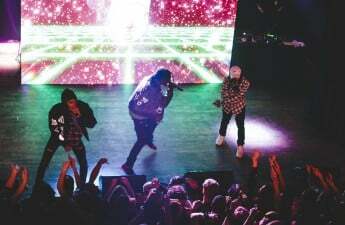 Working with local groups and celebrating a diversity of sounds, genres, people and cultures, the Majestic has planted roots in Madison as a hub known for its open-mindedness as well as its entertaining live music. The Badger Herald sat down with Gerding to discuss how he has developed his venue and his expectations for it in the future. The Badger Herald: Can you tell me a little bit about what the Majestic means to you personally? Matt Gerding: Well, I’m the owner so it means a lot of things. Obviously it means food on the table and a roof over my head first and foremost, but it also, for me, is a cathedral of live music and community. I’ve always been very passionate about live music and we opened the Majestic nine years ago. Because we are passionate, we wanted to bring live music to the Madison culture and community. We believe it’s a great thing. BH: What did you found the Majestic on and what was the philosophy when you opened this venue? MG: We had been looking for a venue for a couple of years throughout the Midwest and found the theater through word of mouth. Our philosophy when we opened was basically to be as artist-friendly as possible. [We wanted] to be a place where all types of artists and genres felt welcome, and that all kinds of cultures within the Madison community felt the same. I think that we’ve really strived to bring in a lot of different cultural pockets within Madison and with that I think we’ve created a sense of community around the Majestic. BH: How have you established yourself since opening almost 10 years ago, not only within Madison but also nationwide with different record labels or touring artists? MG: Through a couple of things. One is we just take incredibly good care of the artists when they come through and make sure they have a good experience. By nature of that, word of mouth spreads throughout the industry, which is actually pretty small. 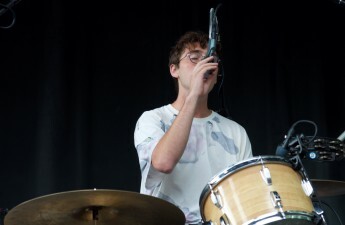 Most of the bands are booked by a small number of booking agencies. Just by being professional and taking good care of the artists helps, and beyond that we go to a lot of conferences with booking agents and try to get more shows. Probably the most important thing though is just to sell tickets. When bands come to the Majestic and sell four, five, six hundred tickets, that generally means they make pretty good money on the night. If they make good money on the night, then they start thinking of Madison and the Majestic as a place where they can come and sell a lot of tickets. BH: I know recently, you’ve talked about community outreach. You’ve started donating part of your ticket sales to pro-women, pro-immigrant, and other activist groups like that. What inspired that and how does that add to the connection? MG: We’ve worked really hard to build a really strong social media presence, and in terms of our marketing, it allows us to speak directly to people who enjoy live music. We take a ton of pride in live music being a really important part of the community and supporting the arts and entertainment. It brings a lot of culture to the city and so I think that live music in general is intended to be a place where people come together to celebrate music. Everyone that’s there is there for the artist playing on our stage that night. It’s a special and unique experience that’s tough to copy. As a result, it ends up becoming a place where multiple different cultures come to celebrate live music together. So our goal with community outreach, you know launching that [proceeds donation] a month ago seemed just like a natural thing. We’re very supportive of open-mindedness, being culturally aware, making people feel welcome and celebrating diversity. BH: Along with that, how has it been working with people like DJ Boyfrrriend and events like Queer Pressure? MG: Great! We’ve done a lot of LGBT events in the past. We used to do a night in the past called DISCOTECH with a group called indie Queer. That was successful for a few years. We’ve had RuPaul’s Drag Race come here. We’ve had that event with DJ Boyfrrriend: Queer Pressure, which was great. All of those things are events we love being a part of because we are open-minded people in an open-minded city that likes to support and celebrate all the diversity that exists here. BH: How important is it for you, as a venue, to be not only a safe space but an accessible space for as many people as possible? MG: It’s extremely important for a lot of reasons. From a business perspective, we want everyone that exists in the Madison community to feel welcome to come to the Majestic. We do so many different genres of music from hip-hop to indie rock to EDM to heavy metal. It has to be a place where people feel like no matter what the color of their skin is or what their sexual preference is or where they’re from, it’s a place where they can feel comfortable coming to for an event. BH: Do you think it’s risky to make these political statements as a venue through statements like donating to certain organizations? Why do you think it is important to voice your opinion on these types of things? MG: It can be a little bit risky. Obviously we [started donating part of our ticket sales to those organizations] on the heels of the election and knowing that it was a big talking point. It’s risky in terms of potentially feeling like you might alienate half the country but at the same time, what we noticed is that when we book an artist people want to see, they’re not going to [avoid] the event because they disagree with some of the political things we put out there. Sometimes you create more value for yourself by sticking your neck out than by not saying anything about something you feel passionate about. I think the value gained from it is far greater than value lost by not saying anything. BH: How do you hope to keep the Majestic on top of the music scene in Madison for years to come and looking onward? MG: The nice thing about live music is that it’s never going to go out of style. We’ve definitely established ourselves as a live music venue that people like coming to and bands like playing at. As long as people enjoy live music, which I think they will until the end of time, and we keep booking good bands, we’ll be around for a long time. But we also have to maintain our goals of being progressive and ambitious with the shows that we book. We have to keep taking chances and try out different genres and artists that come out. We have to really keep our finger on the pulse of the Madison music scene and what people want to hear. BH: What are some of your more immediate goals for the Majestic, looking forward to spring and summer? MG: We’re working hard on our Live on King Street series next summer, which is going to culminate with our 10 year anniversary in September. 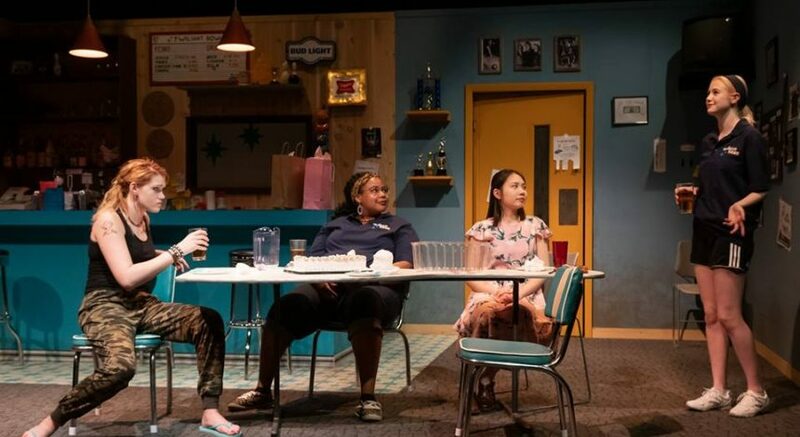 That’s a part of it, but beyond that it’s continuing to book as many great shows as we can and continue to connect with the communities in Madison that need a place to dance or see a show or rock out or whatever it is.